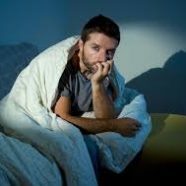 Home » Blog » Having a hard time sleeping at night? I know it’s been a while since my last blog. First, the good reasons why. So far in 2017, I have had a paper published, researched and written with my great friend and mentor Stephen Hacker, that nicely describes our approach to leadership training and development. Based upon work we did partnering with University of Alberta’s Executive Education, we summarized our approach to working with the Royal Canadian Mounted Police and senior leaders at Alberta Health Services. Read the article here. In addition, I had a wonderful opportunity to be the instructor that gave this year’s University of Alberta’s 2017 Last Lecture (https://www.ualberta.ca/alumni/connect/future-alumni/last-lecture). I was honored and humbled to be chosen. (See note below.) Lastly, I’ve been preparing for another event on May 11 when I was a featured speaker with at “An Evening Out for Learning,” hosted by Executive Education at the University of Alberta. Such a bold statement! A person that is two-faced acts one way in front of a person, but acts differently when that person is gone. Which got me thinking: How many times am I two-faced with myself? How many times do I try to fool myself, refusing to admit that I didn’t pay attention in class, that I didn’t put in quality work at my job, or that I never nurtured the relationship as I could have? Then, I go on to consider the next line that says, “but in my heart I understand.” I realize that, instead of staying awake worrying about something that I know I didn’t really work to achieve, I could spend that time wondering why didn’t I put in the work. Other questions you (and I) can ask: Do I really want that promotion? Why do I sabotage myself with it comes to school? Why don’t I spend time with people I say I care about? And, deep down inside (in my heart) I probably already know the answers. Once you (and I) discover the answer, we will probably fall asleep!